Welcome to Busy Since Birth, the new home of The Life of LilMisBusy! I'm so happy to have you join me in this venue. Pretty cool new digs, right? So why the reason for the change? Abby. After my post on BlogHer and how I was trying to find my way in all of this, Abby suggested we go to dinner and talk shop. Now for her, it really is a shop, and the things she makes are spectacular. But for me, the blog has been a place where I've tried to just do the writing thing. I hadn't bothered to think about how the rest of the page affects the content, how presentations have changed and that I was looking dated with my simple green page. Since I usually read other blogs using my Google Reader, or have trained my eyes so well to avoid everything but the content itself, I thought it didn't matter. But Abby made me realize that I was wrong. The LilMisBusy name needed an update too. While I'll always hold affection for my old instant messenger screen name, the misspellings were probably making it hard for people to find me. To be honest, I've probably typed it incorrectly as often as I've gotten it right. Cutesy was fine for anonymous writing, but I don't think of myself as a cutesy person, and if my name is going to be on the final product, I wanted to be proud of it. So the "busy" concept remains, but in a new way. Now a few notes on the actual workings of the site. 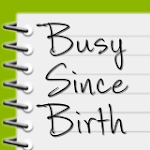 Anytime you want to find me, you can just type busysincebirth.com. When you click "Keep reading" on a post, you'll be brought to a secondary screen that displays the full length of the post. From there you can tweet, like, or G +1 the post and share it with others by clicking the links at the bottom of the post, or leave me a comment. When you finish reading a post, it's easy to see, well, every other post I've written by scrolling down. There's a fancy new search bar at the top, which will help you find entries within the blog. Finally, using the black navigation bar on the right, you can see more about me, the full blog archives, a list of all of the other blogs I'm reading, and ways to become a follower or a subscriber of this blog. If you've been using an RSS reader, you'll need to resubscribe to continue to get updates. I think that's everything! Thanks to my live in tech support, Marc, for helping to make all of this possible. I hope you enjoy the new look, and come back soon for more new content. It's been fun making this change, and I look forward to chronicling many more adventures here. Congrats ! 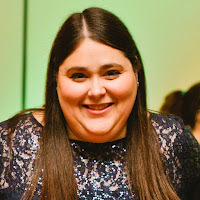 I've been thinking of a makeover for my blog, too - I'm inspired! 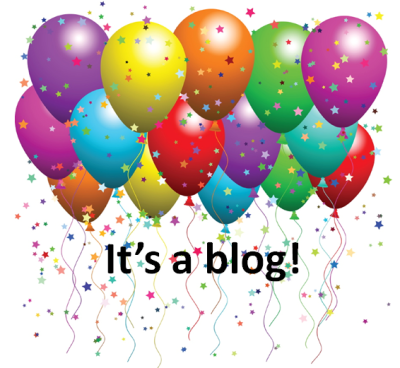 Cheryl, love the blog's new look and functionality!